For almost 25 years, Joyce has been known as one of the best Atlanta hair stylist recognized as a leader in hair design and contemporary color. Throughout her career, Joyce has worked as a trainer and colorist with some of the biggest names in the industry, including L’Oeal, Redken and Wella. Joyce is passionate about perfect color, and she’s been around the world studying cutting-edge trends and techniques. 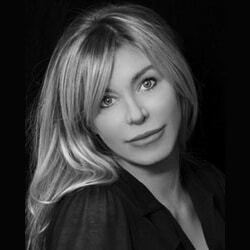 From Paris and Belgium to Los Angeles and New York, Joyce has worked with international design teams, organizing hair shows and training other stylist in the use of new products. She’s an expert in creating natural looks and colors that accentuate bone structure and skin tone. Color correction is also one of her specialties. With Joyce’s experience and passion for hair, it’s easy to see why Allie J Salon is voted best hair salon in Atlanta. When not helping clients at the salon looking their best or attending conferences or seminars on the latest and greatest in respect to hair care and hair products you will find Joyce volunteering at some of Sandy Springs Events. Brady brings a youthful, fresh approach to creative style and color. Her passion for perfecting and personalizing the latest trends has taken her around the country, and she’s worked with some of the most talented and advanced artists in the industry, including Beth and Carmine Minardi and Toni & Guy. Brady is passionate about cutting-edge design and color, and she brings a cheerful and upbeat energy to her work and client relationships. Book an appointment with Brady today to see why Allie J Salon is voted best hair salon in Atlanta. 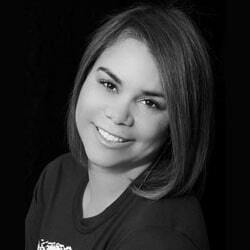 Monica joined the Allie J team in November 2013. She began her career as an apprentice under a prestigious artist where she was trained in French hair-cutting techniques and methods. Monica has continued to develop her career by attending educational classes lead by some of the most well known artist in the industry. She has mastered the art of blow drying course and curly hair. Whether you are getting a blow dry or smoothing treatment, Monica will leave you with long lasting silky hair. Pauline joined the Allie J salon team in November 2013 as a nail technician specializing in natural nails and spa pedicures. 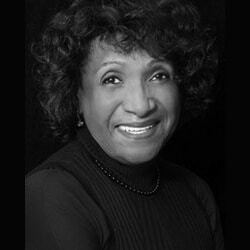 Pauline has been keeping the hands of her loyal Sandy Springs community beautiful for over 35 years. 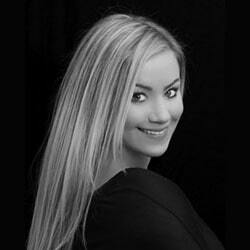 You will love her professional approach to nails as well as her kind, caring and warm personality. PLEASE CONTACT PAULINE at 404-668-6656 to schedule your nail experience.